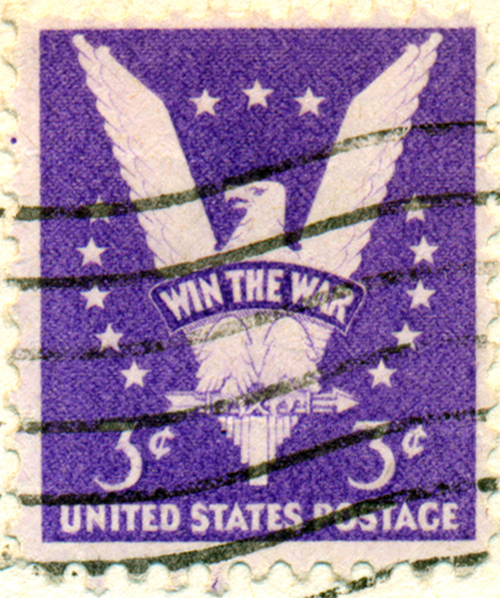 The Three-Cent Stamp, "Win the War"
Dek Kanally was born on August 5, 1923 in Port Allegany, PA. 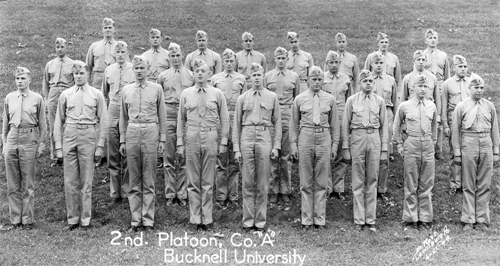 He was a 1941 graduate of Port Allegany High School, and went on to study at Grove City College, a few hours away. 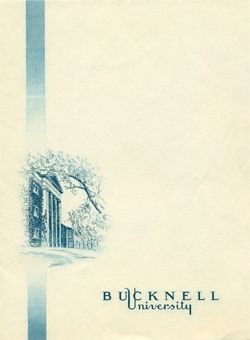 There he enlisted in the Marine Corps Reserve, and after his second year, transferred to Bucknell University in Lewisburg, PA to complete his undergraduate degree. 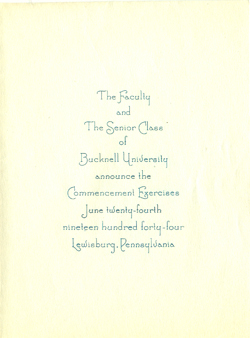 On the occasion of his graduation, he sent out announcements to friends and family, including this one to Jane Black, a familly friend. 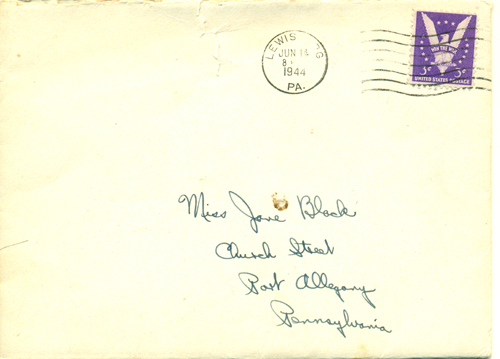 Note the postmark is June 14, 1944, just 8 days after D-Day, and coincidentally the date of Flag Day (which date had been establshed by Woodrow Wilson's proclamation in 1916, and formalized by act of Congress in 1949. WWII was in its thrid year. THe tide had just begun to turn in Europe, but V-J Day was still more than a costly year away. The focus and resolve of the American people were palpable. The simple three-cent stamp on the announcement summed it up. Win the War.